Who knew that Tucson's sunny climate would also attract Dracula's relatives? Hey - if I were a vampire and had to avoid sunlight, Tucson would not be on my short list of places to live. Mysterious! Makes about as much sense as owning a black vehicle in Tucson. The owner probably curses the hot steering wheel and peeling paint as much as they hiss about the sunlight and heat! Maybe he wears barbecue mitts when he drives! 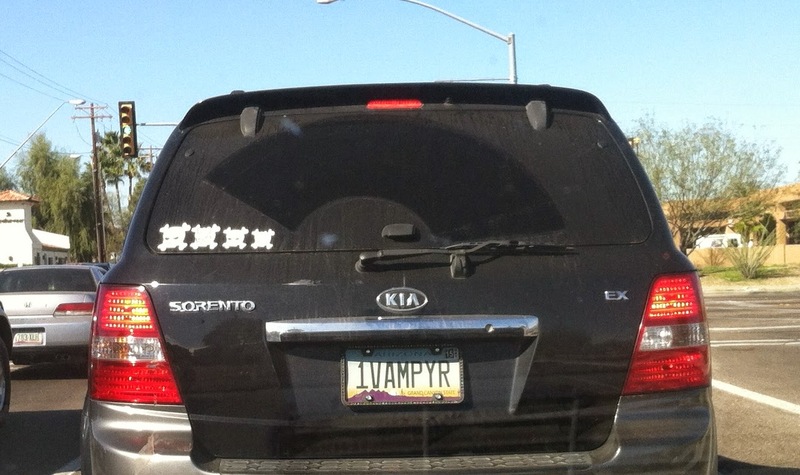 A Vampyre banished to Tucson, forced to drive in a black mobile, probably with plastic seats...how to survive?? Why with these super-tinted windows, the kind that label this as a drug-mobile to the police who then stop this car and unknowingly provide the driver with a quick snack, haha! 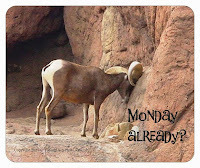 E - You always make me laugh! !